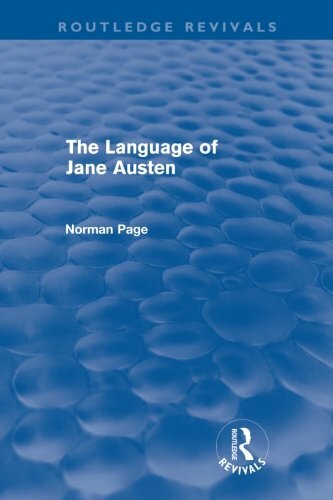 First published in 1972, Norman Page’s seminal study of The Language of Jane Austen seeks to demonstrate both the exceptional nature and the degree of subtlety of Jane Austen’s use of language. As well as examining the staple items of her vocabulary and some of the characteristic patterns of her syntax, attention is paid to her use of dialogue and of the letter form. The aim of the study is not simply to analyse linguistic qualities for their own sake but to employ close verbal analysis to enrich the critical understanding of Jane Austen’s novels.